An intensely fruity olive oil with notes of lemon and herbs. 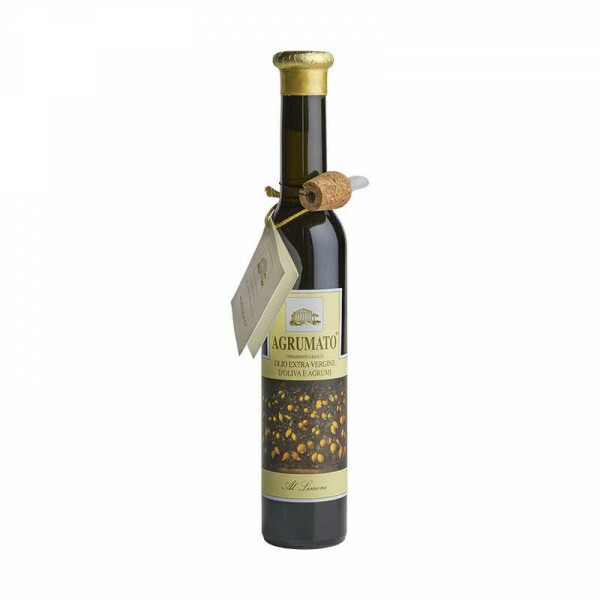 The origin of this product is based on an old recipe called Salmoriglio, very popular in the south of Italy, where whole lemons are crushed simultaneously with olives in the cold-extraction method. The combination of these ingredients, makes this oil a very aromatic seasoning, ready to use and absolutely natural as it is produced using only genuine ingredients like the aromatic herbs that can be visibly observed. This Agrumato with Lemon and Herbs is an excellent condiment for roasted fish and meat, especially for tuna or swordfish. Pour generously over these foods and immediately the aromas of herbs and citrus will be deepened.